Ruth Lloyd Webber (no relation) has been struggling for thirty years to throw her hat in the actor's ring. Without a single acting credit to her infamous (no relation) name, Webber wrote eight mini-musicals in the hopes of finally making her acting debut. None of them longer than 15 minutes, none of them shorter than 15 seconds. Six talented actors are bringing these comedic, inventive, never-before-seen productions to life in one spectacular hour of singing, dancing and jazz hands. 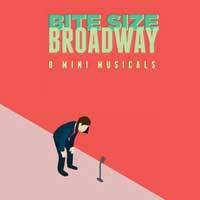 Catch Bite Size Broadway: 2.0 at The Annoyance Theatre & Bar in Chicago.